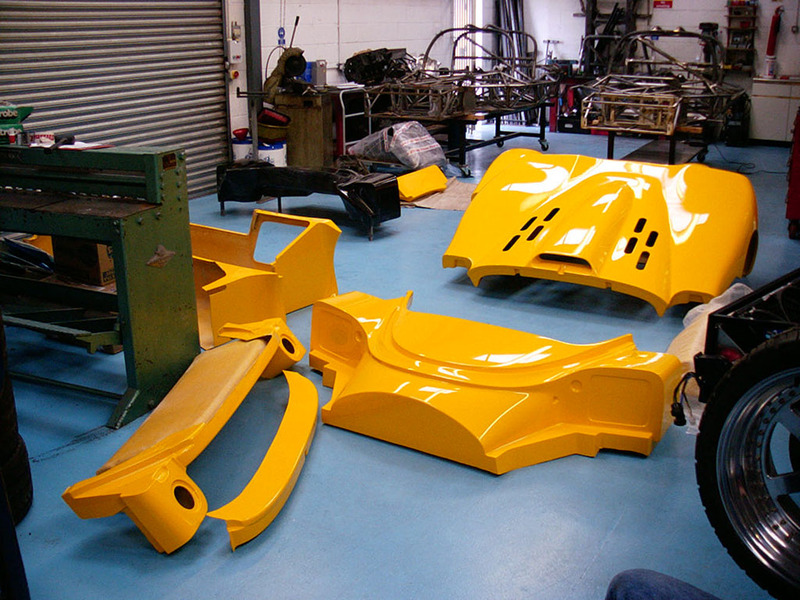 Work starts on designing and building a new model to replace the Ultima Spyder, designated the Ultima Can-Am. 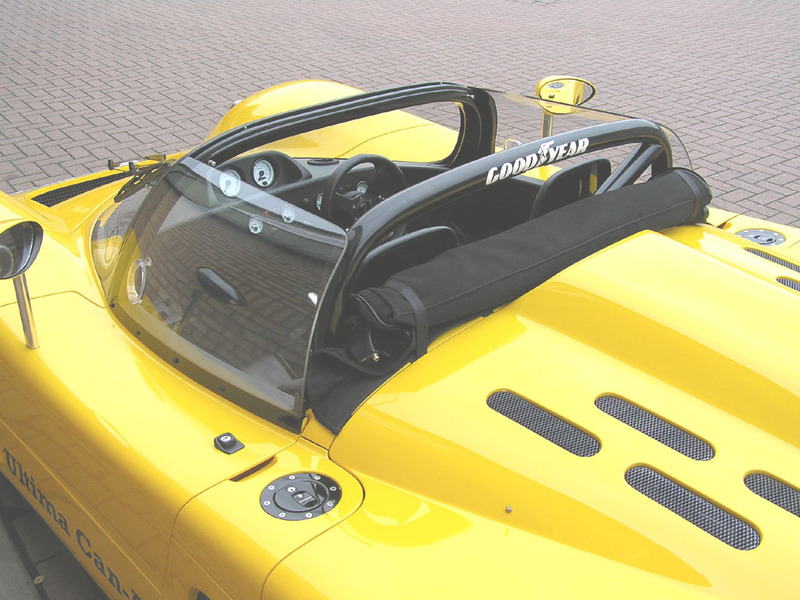 The design changes were undertaken with a view to increasing the aerodynamic down force, enhancing the engineering integrity, complying with the latest regulations and improving the ease of build for home assembly over that of the Ultima Spyder. The Ultima Can-Am was to be a much more refined car with a greater performance potential than the Ultima Spyder that it replaced. A key feature was the development of a system for quickly changing from the wind deflector to a full glass windscreen. The full screen option would make it possible to later design and fit a soft-top option. 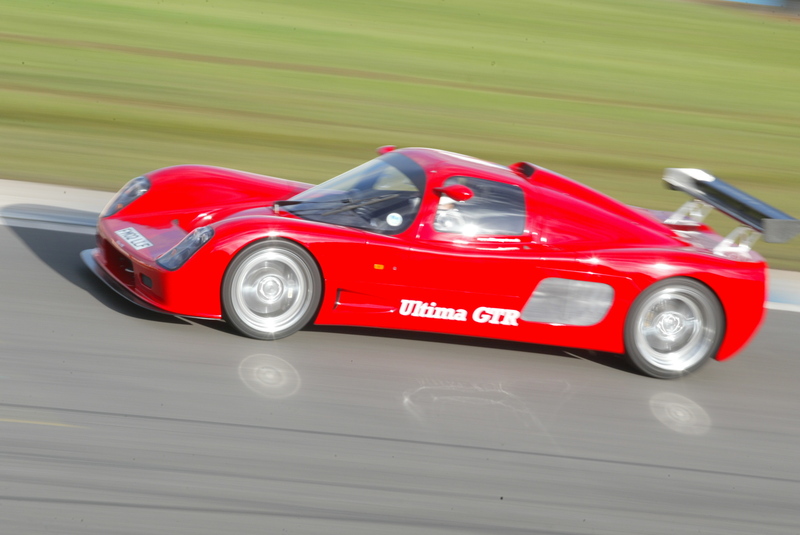 For full list of design changes see Ultima History addendum 4. 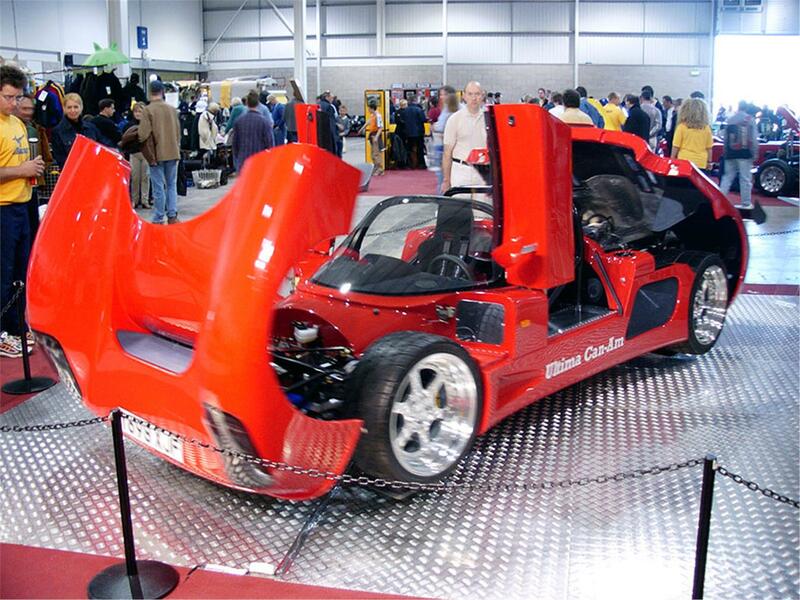 Ultima Can-Am launched with new left hand drive and right hand drive versions first shown at the Stoneleigh show. 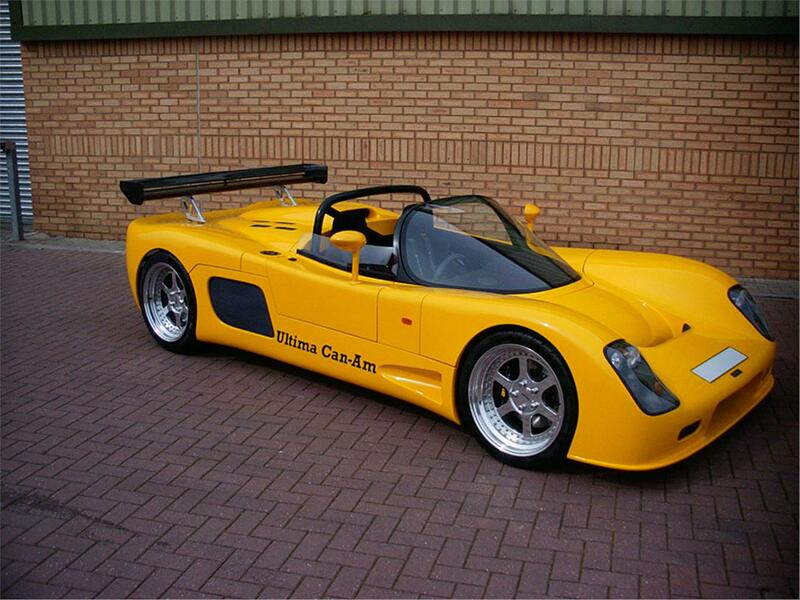 Ultima Can-Am soft-top is designed and launched. 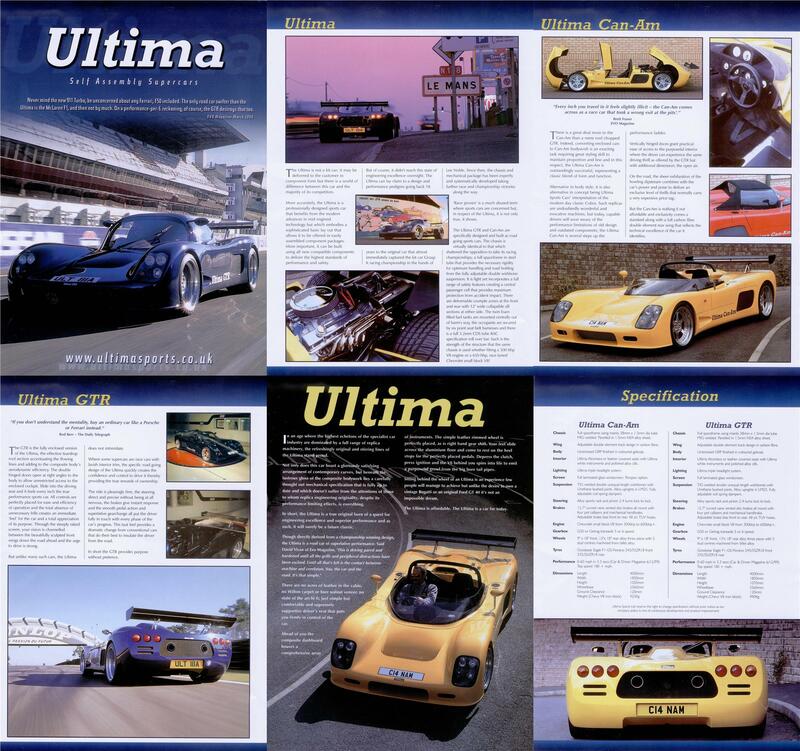 The Ultima GTR and Ultima Can-Am brochure is released. Total Ultima sales reach over 400. 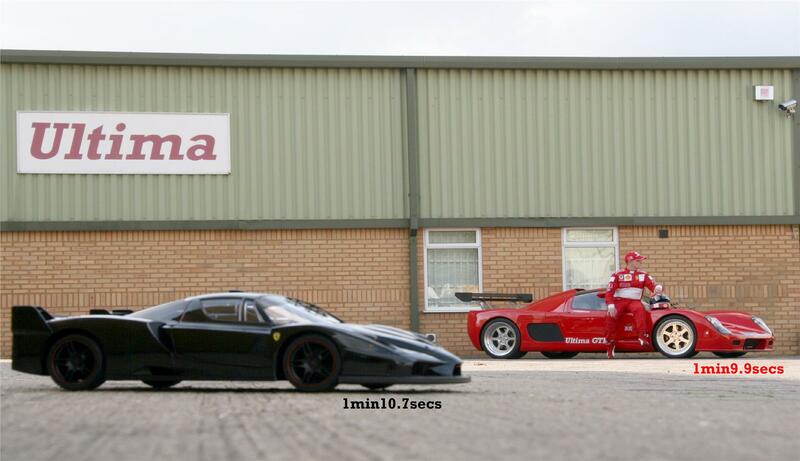 Ultima Sports Ltd demolishes the 0-100-0mph world record with a standard production specification 640bhp Ultima GTR. 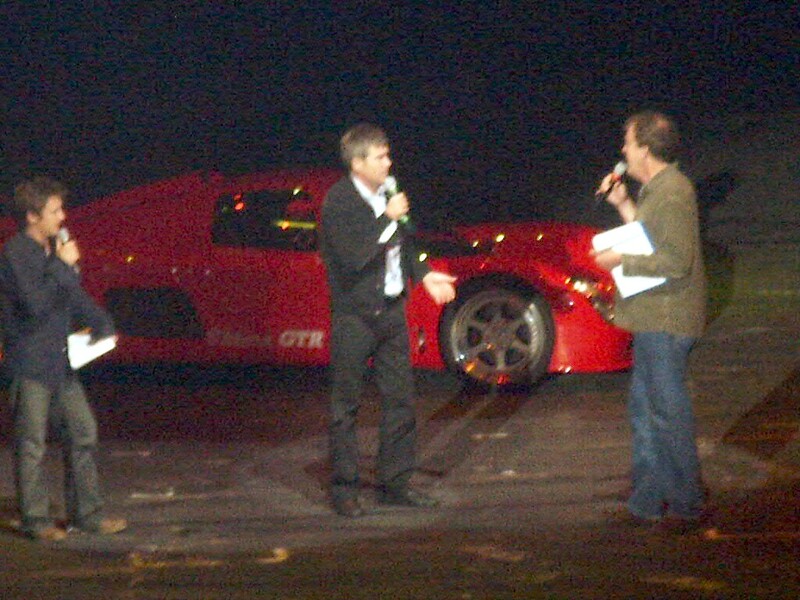 Driven by Richard Marlow, it creates a huge media frenzy and a worldwide stir in the automotive world. 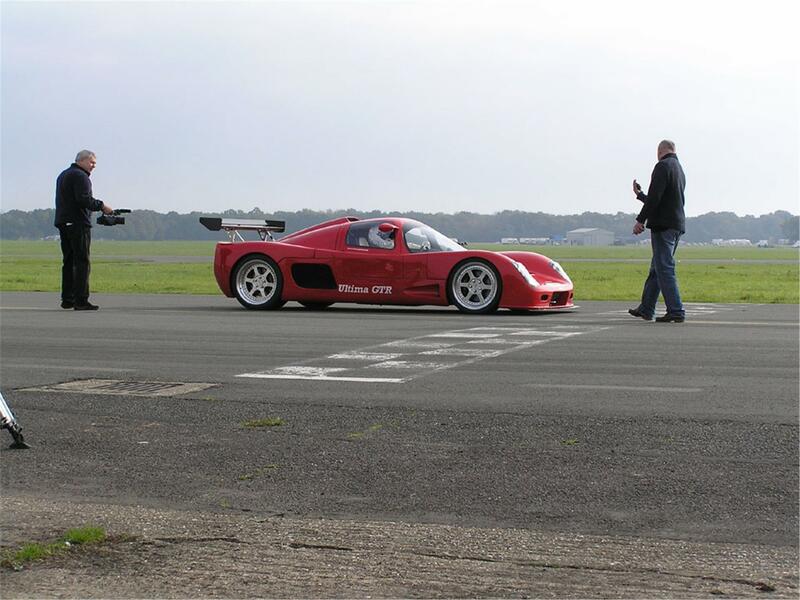 The new 0-100-0mph world record included the setting of new road car world speed records for accelerating from 0-60mph and 0-100mph. 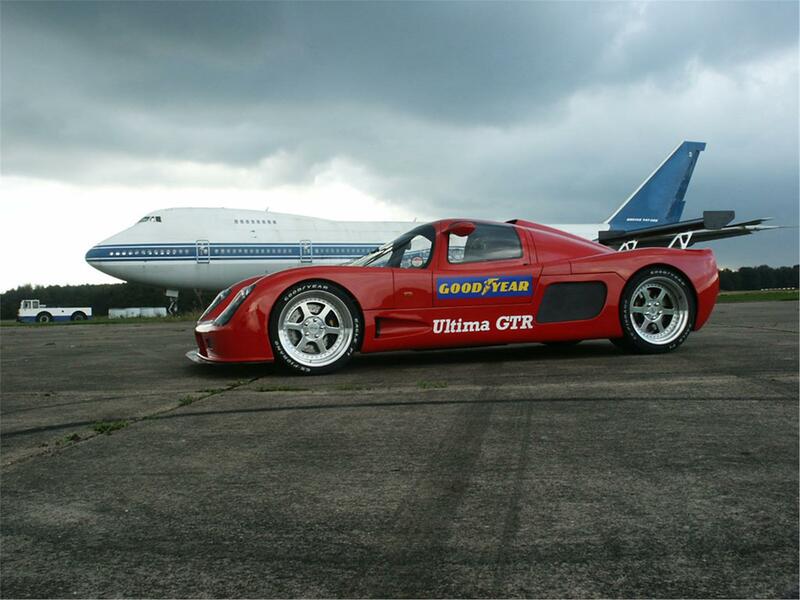 Ultima GTR640 launched and several world records established. 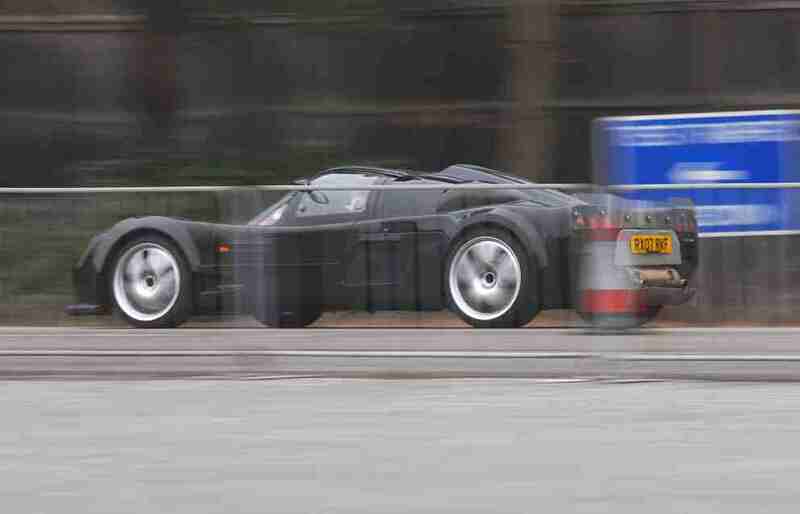 Officially verified as the world’s fastest supercar. 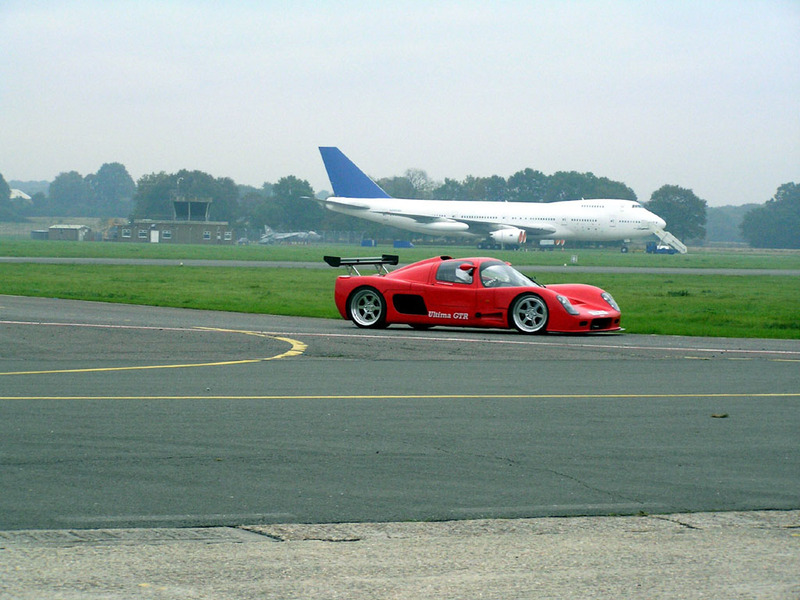 World speed road car records smashed include 0-60mph, 0-100mph, 0-150mph, 30-70mph, 0-100mph-0, 100mph-0 braking, skidpad lateral g cornering and terminal speed achieved on Bruntingthorpe airfield. 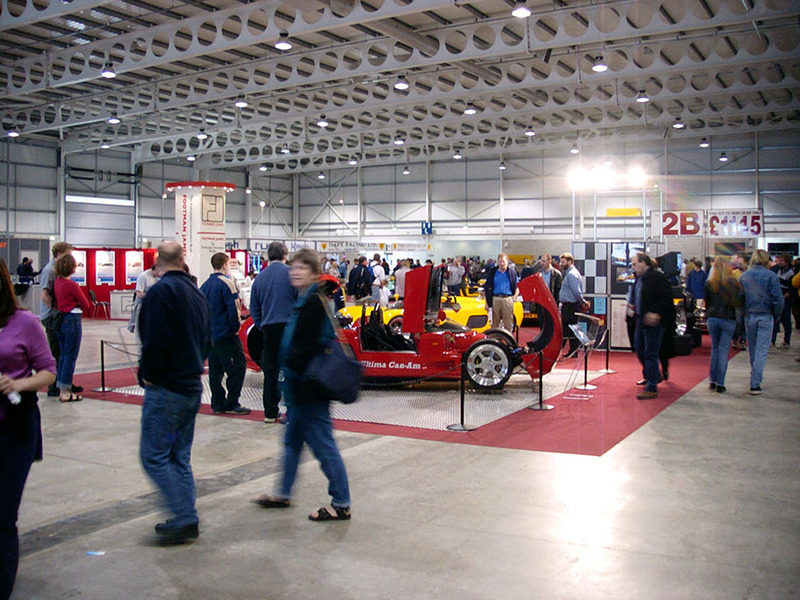 Ultima GTR640 appears at the MPH Motor Show in the live arena as a main attraction and performs an indoor acceleration record during which all world speed records are endorsed by Top Gear TV presenter Jeremy Clarkson who deems the Ultima GTR640 "An amazing car that holds virtually every road car world speed record in existence". 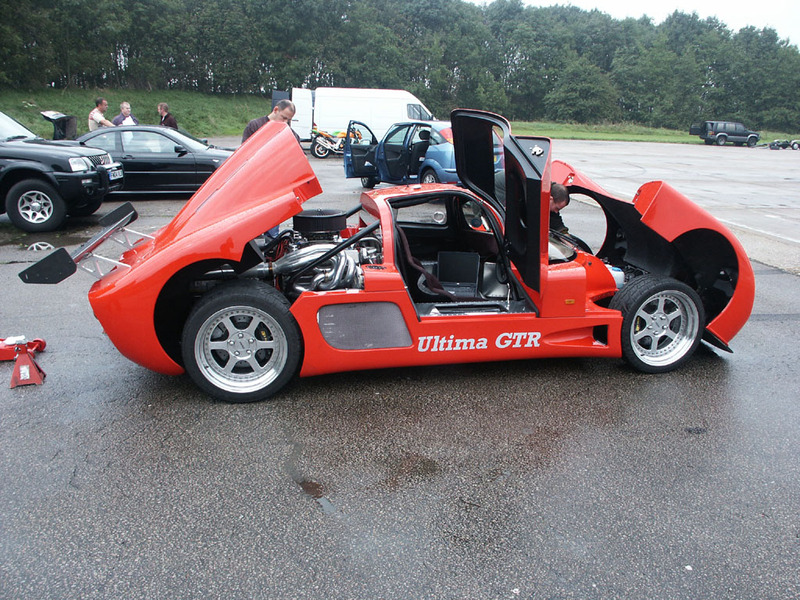 Ultima Sports Ltd has achieved its goal and even surpassed some of its original expectations. Richard Marlow sets a 0-100mph-0 world record for the third year in succession in the new Ultima GTR720 demonstrator, setting a catalogue of new road car acceleration world speed records in the process. 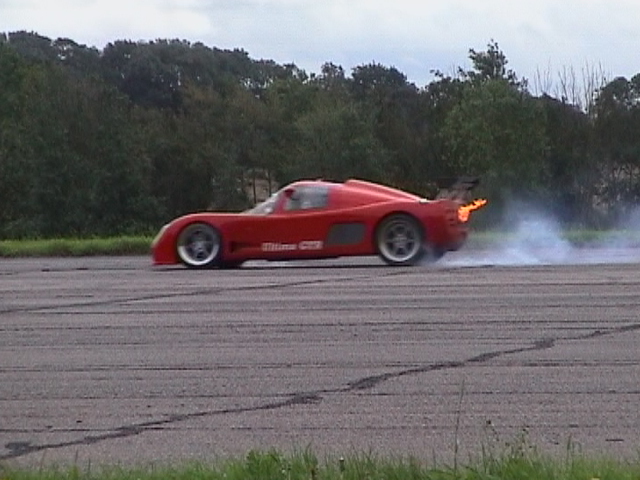 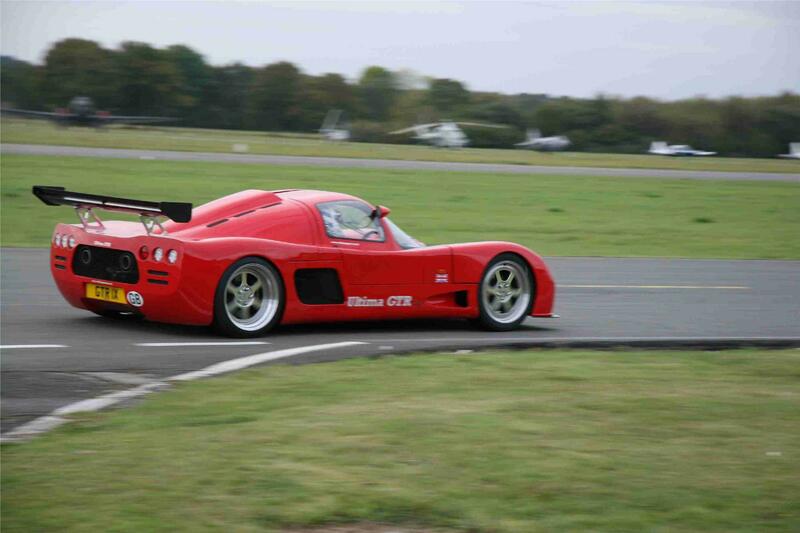 Richard Marlow sets a new standing quarter mile production car record in the Ultima GTR720 demonstrator. 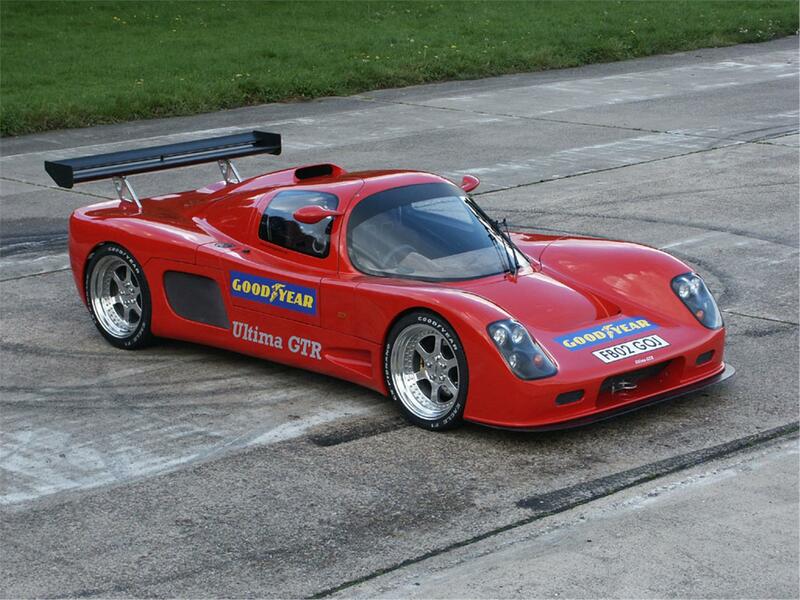 New Chevrolet LS Ultima engine range designed and introduced, including the Chevrolet LS1, LS2, LS3, LS6 and LS7 engine options from 345bhp-800bhp. 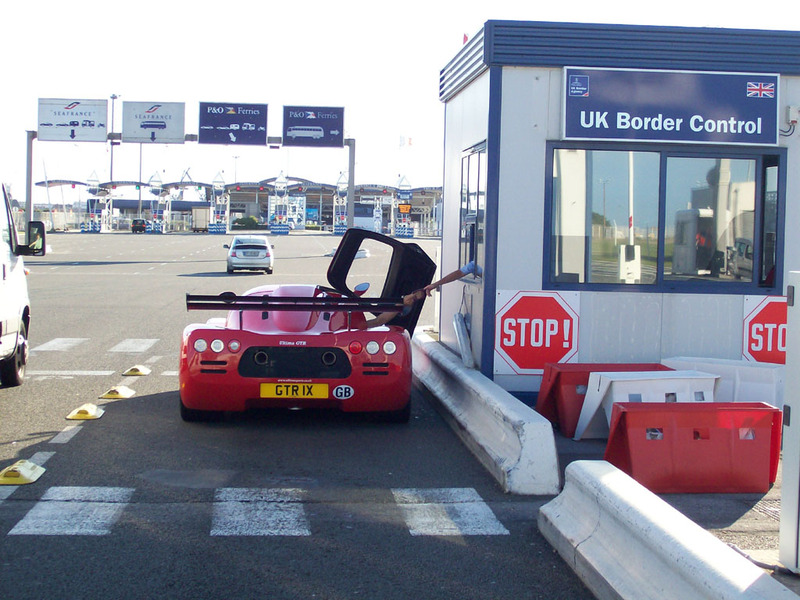 These comply with the latest worldwide emission regulations. 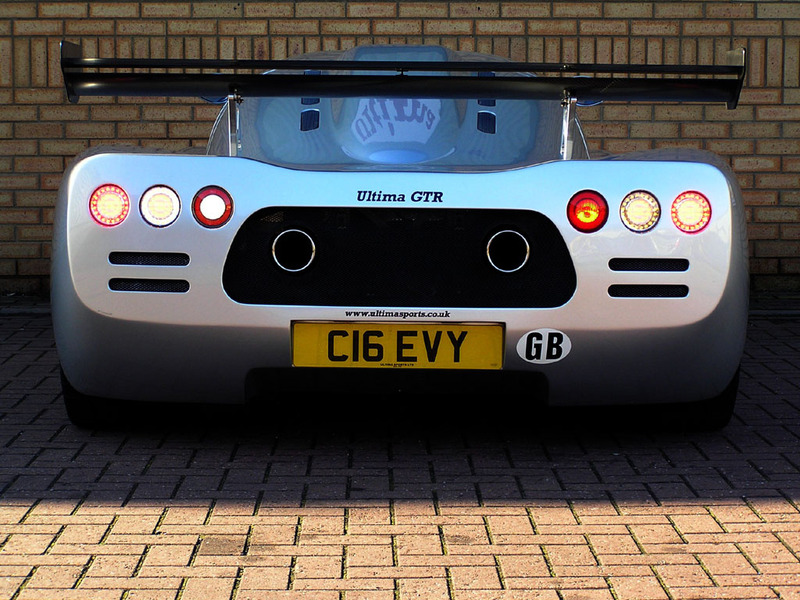 New LED rear light package introduced. 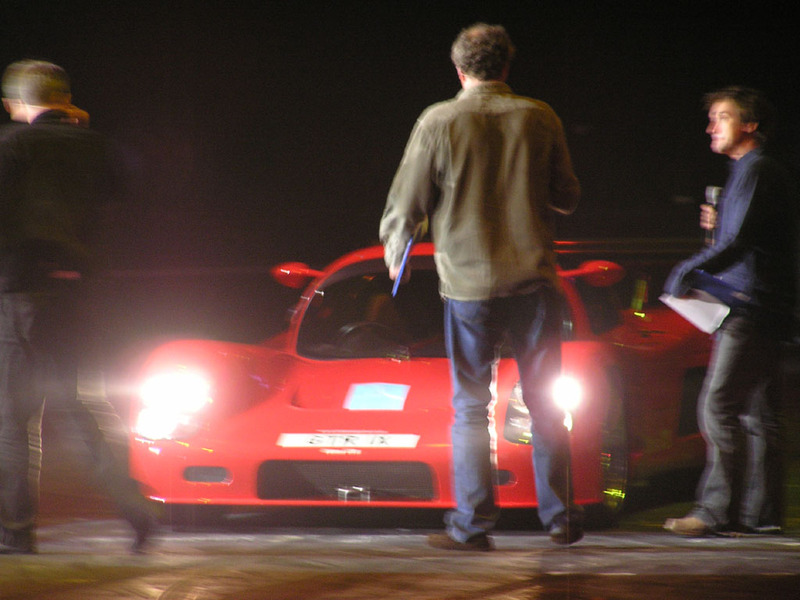 Ultima GTR720 demonstrator smashes Top Gear TV Lap Record by almost 5 seconds creating a huge worldwide stir. 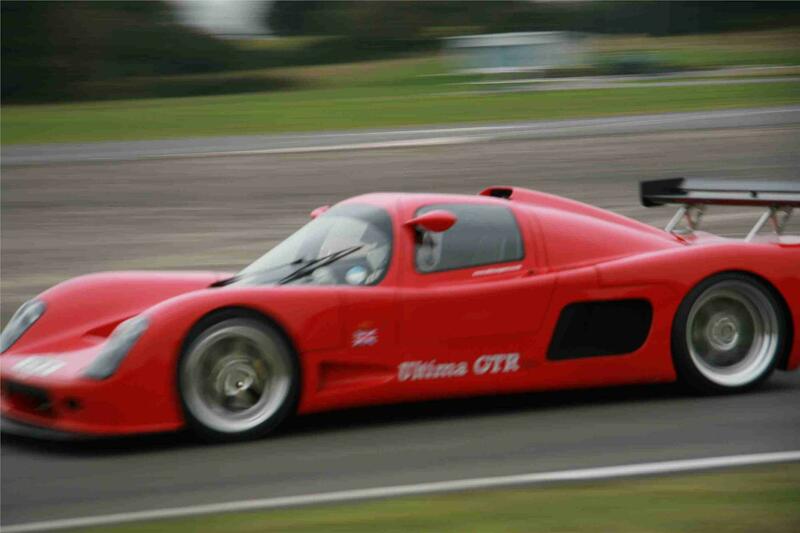 McLaren Automotive approaches Ultima Sports Ltd to discuss and purchase a new Ultima GTR. 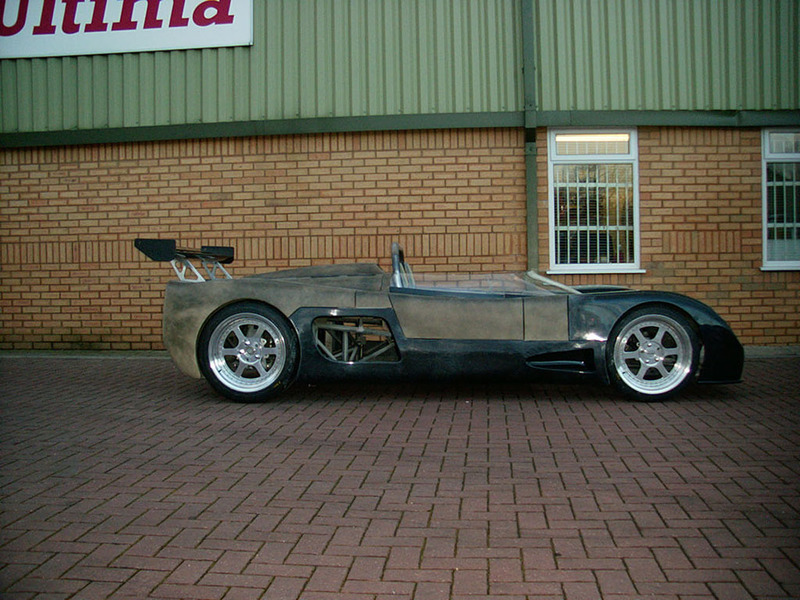 This will be used as a development test vehicle for its new secret project focusing on McLaren Automotive launching a new range of supercars. 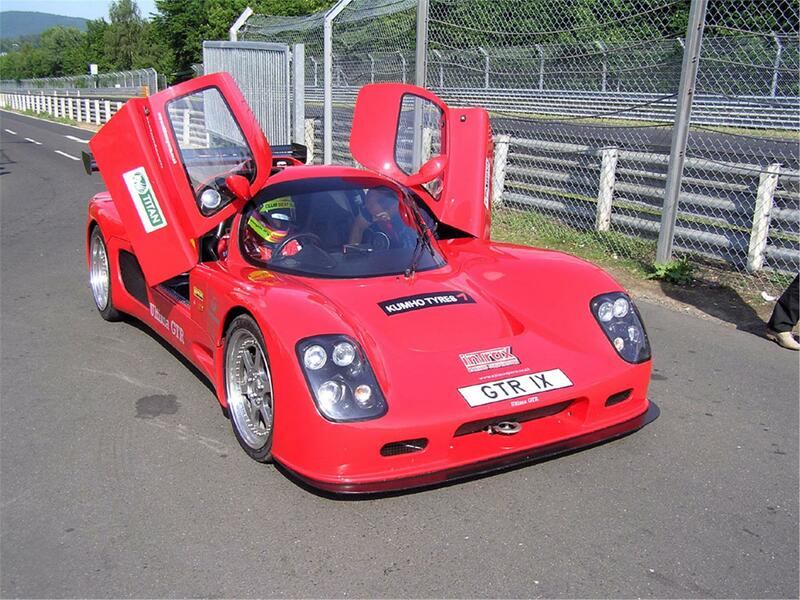 Nurburgring outright road car lap record attempted in the Ultima GTR720 demonstrator. 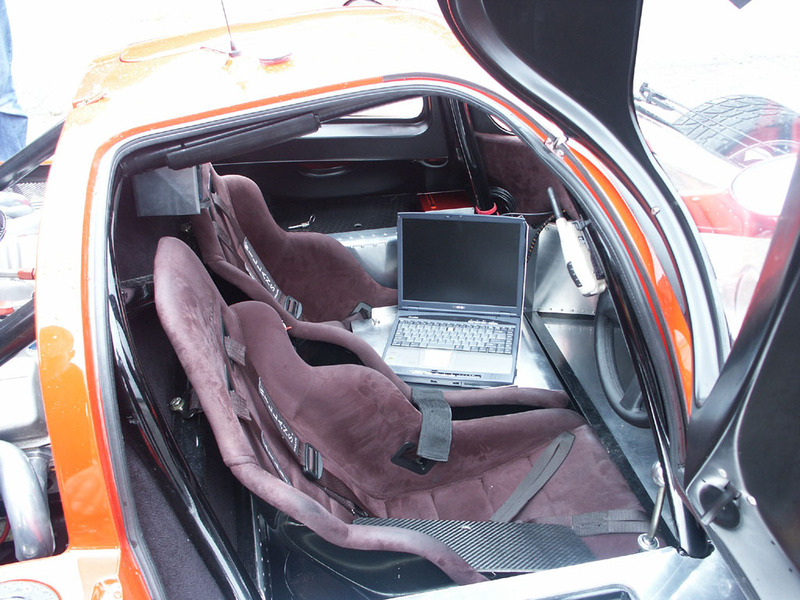 This creates a huge avalanche of media attention whilst at the Ring as news of the lap record attempt is leaked out to the press and spread across the worldwide web. 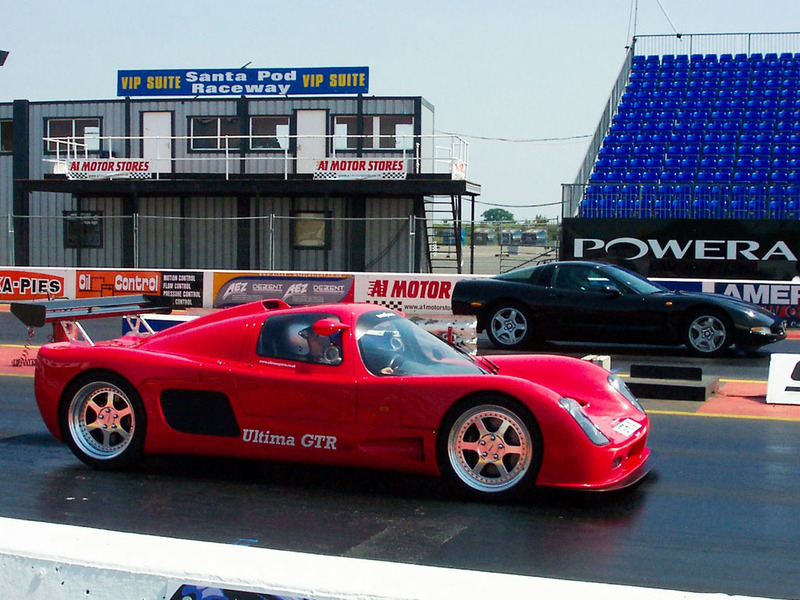 Unfortunately, the attempt is abandoned due to a torrential downpour on the day that the track was exclusively hired. 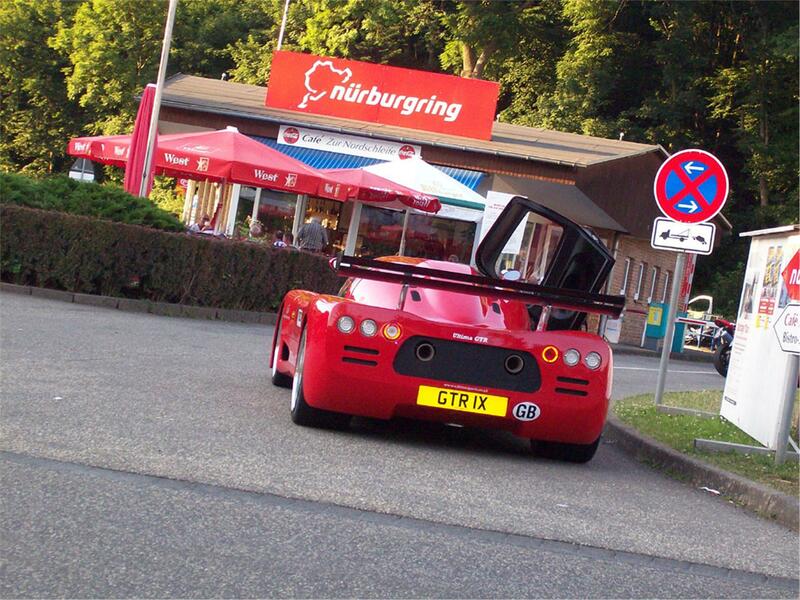 Declared by pro 'Ring driver Tom Coronel during public testing on the Nurburgring as "The most powerful and by far the fastest road car I have ever driven. 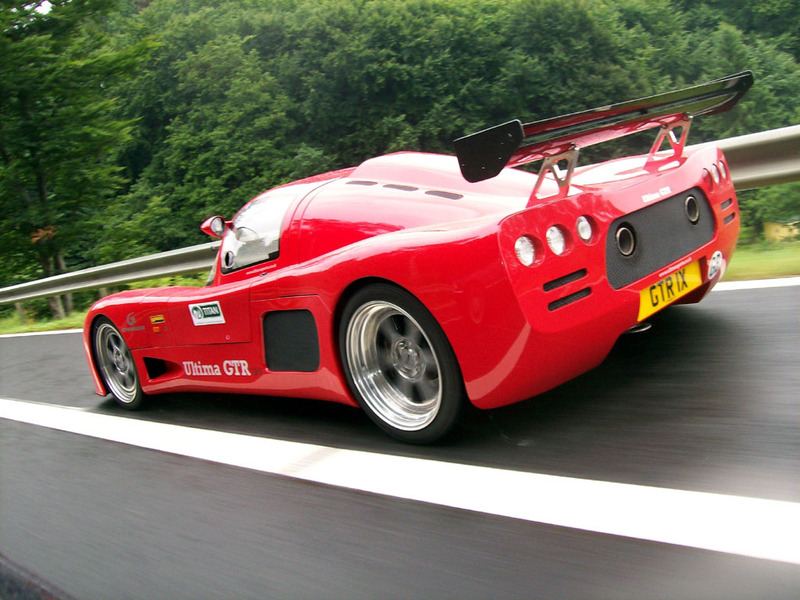 It's an absolute missile and a huge buzz to drive! 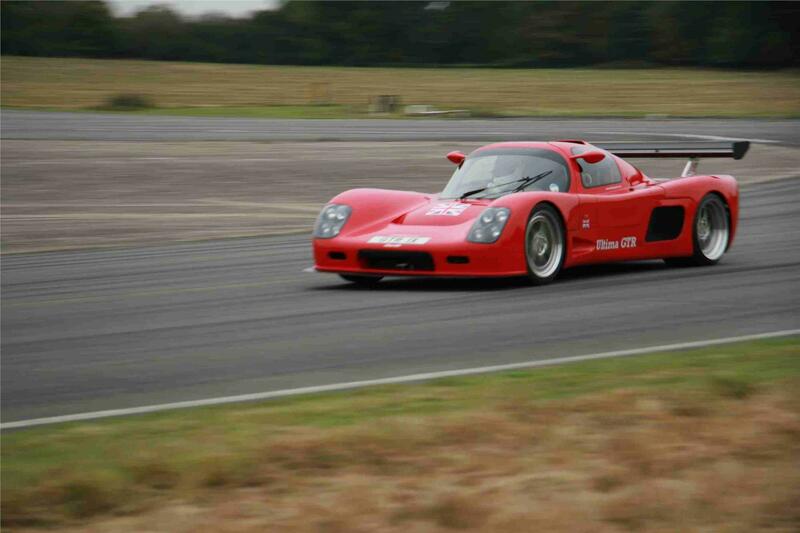 The great balance, power and sensational braking make this car staggeringly fast around the track. 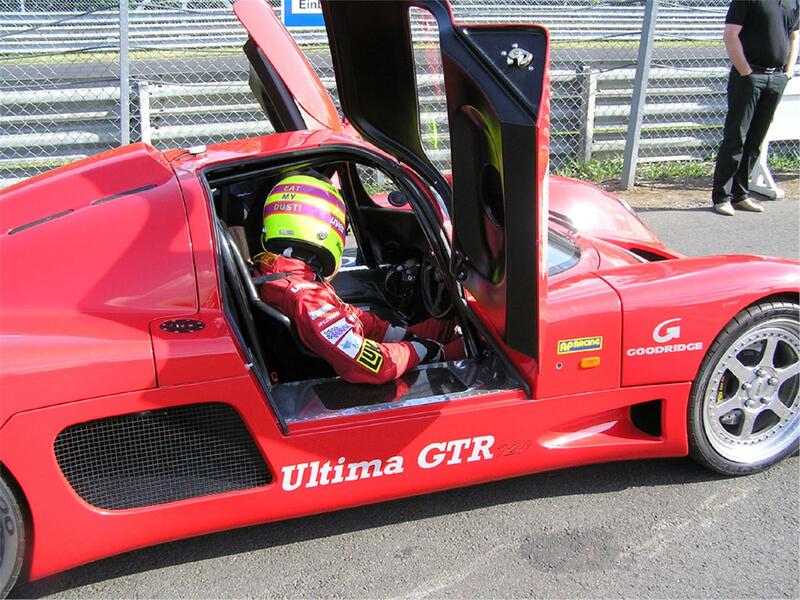 The guys at Ultima Sports have a product which is a very special machine indeed, and I'm confident that I can set a new outright Nurburgring lap record time in the Ultima GTR720." 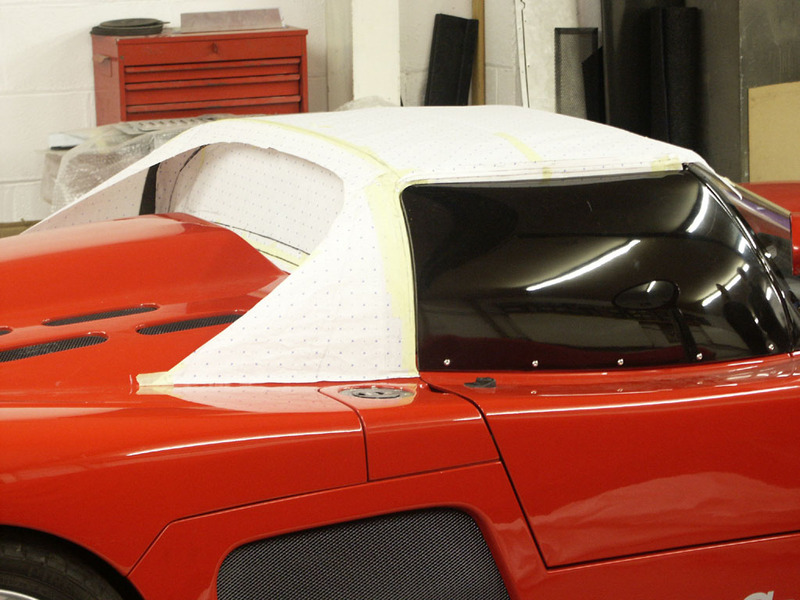 New additional quieter silencer box option designed and developed to comply with the latest stringent track day noise limits. 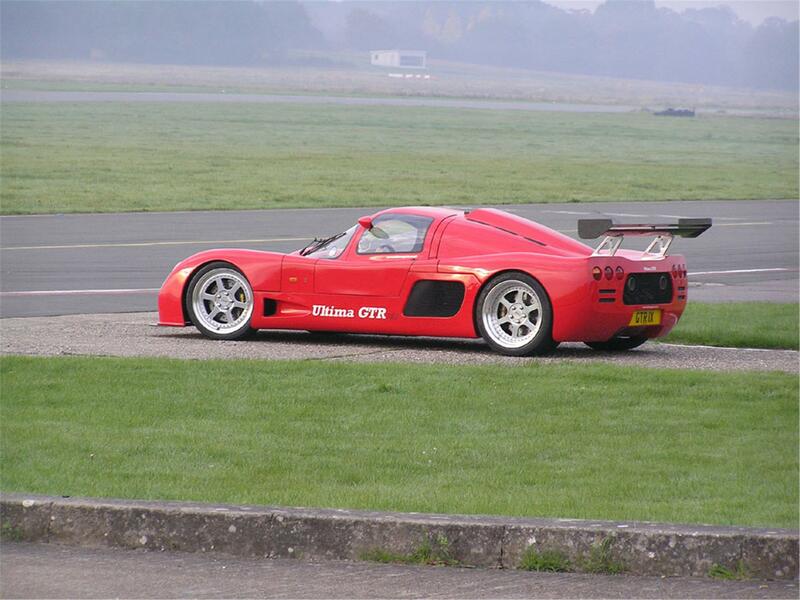 Ultima GTR720 demonstrator obliterates Michael Schumacher's £1million Ferrari FXX Top Gear track lap time, which creates a deluge of attention as the video evidence spreads across the worldwide web. 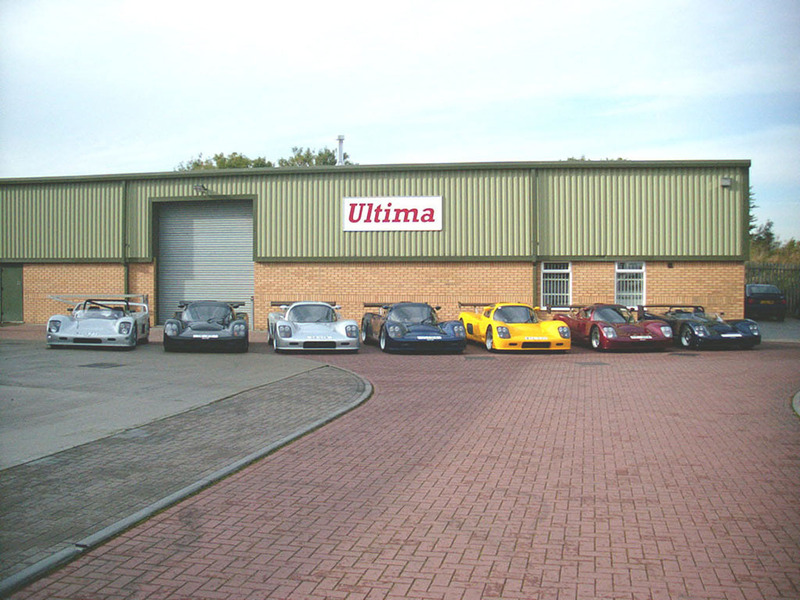 Sales continue strongly with Ultima Sports Ltd going from strength to strength despite the worldwide recession. 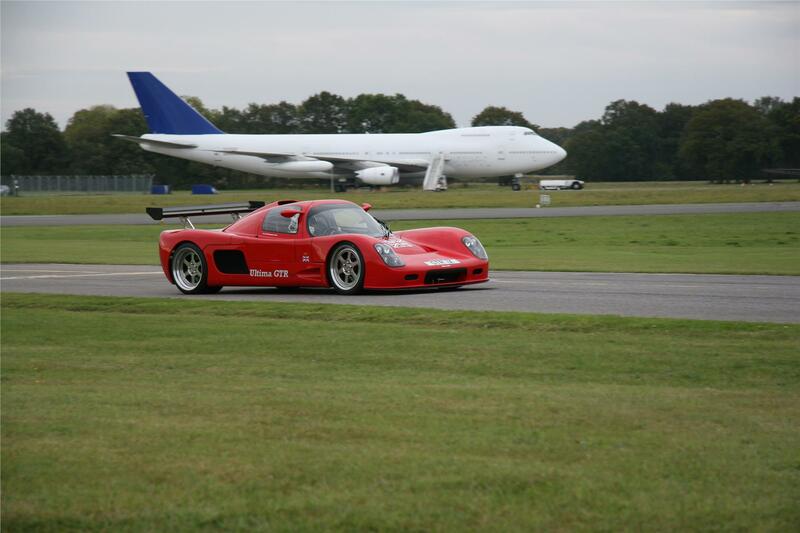 This year saw the development of various components to enable the latest Porsche 996 & 997 series manual transaxles to be used in the Ultima as well as several upgrades to existing components that were also designed and tested. 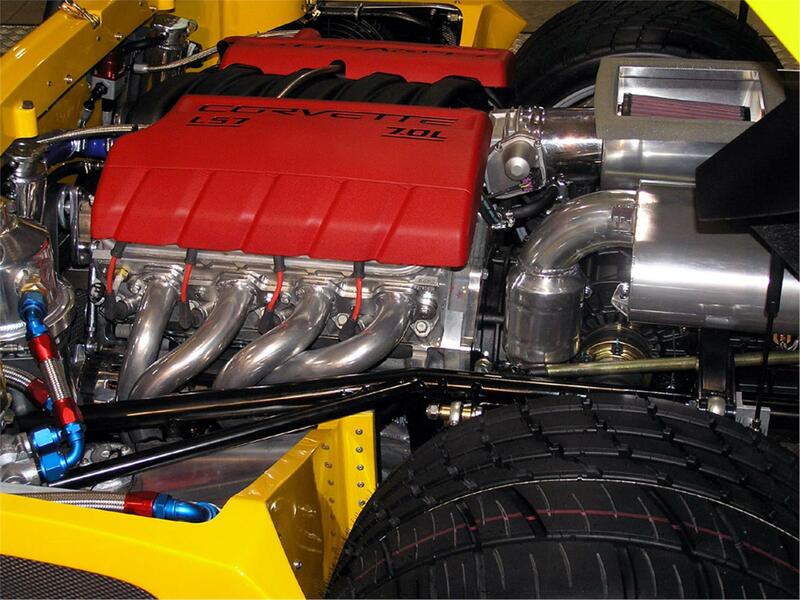 LS Engine to 996-transaxle adaptor plate system. LS Engine to 997-transaxle adaptor plate system. 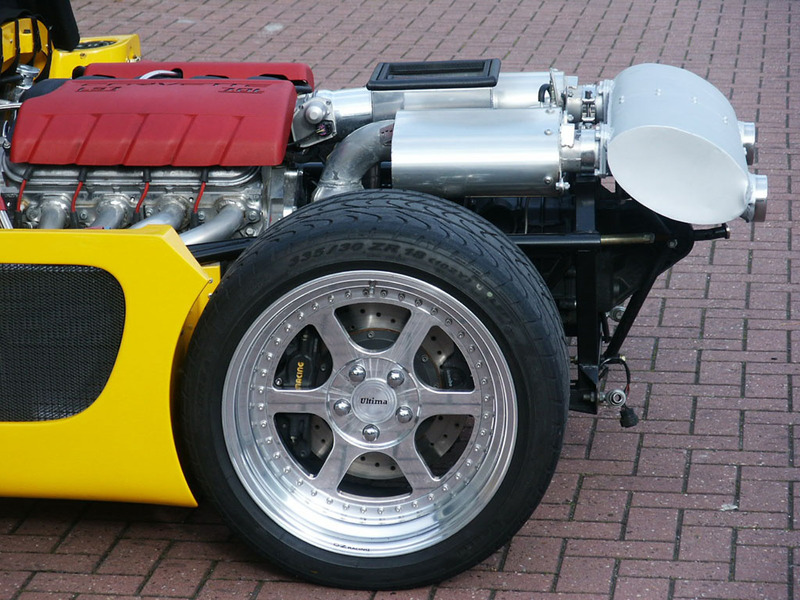 LS Engine to 996-transaxle flywheel. 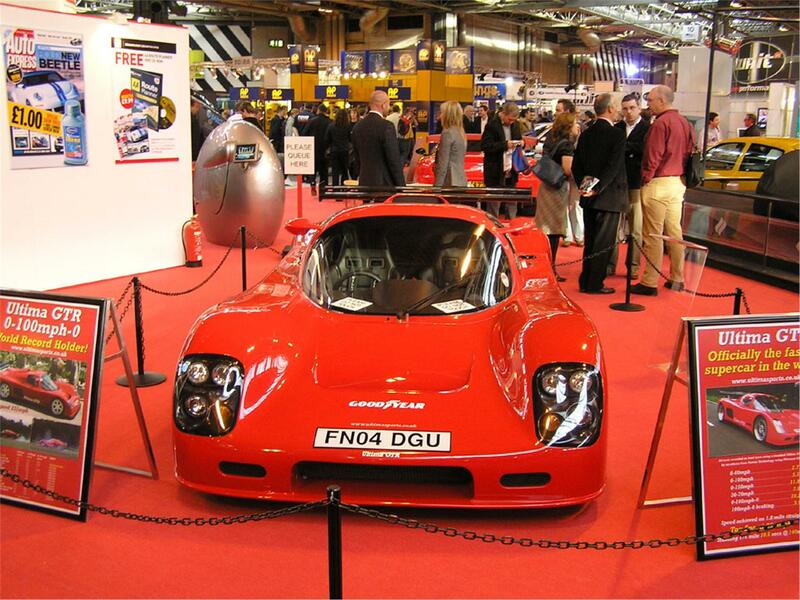 LS Engine to 997-transaxle flywheel. 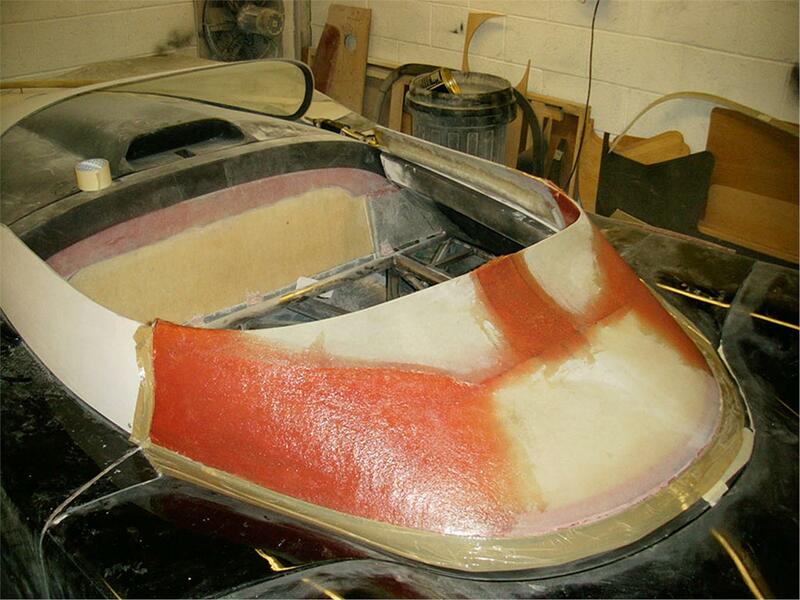 LS Engine to 996-transaxle cable bracketry. 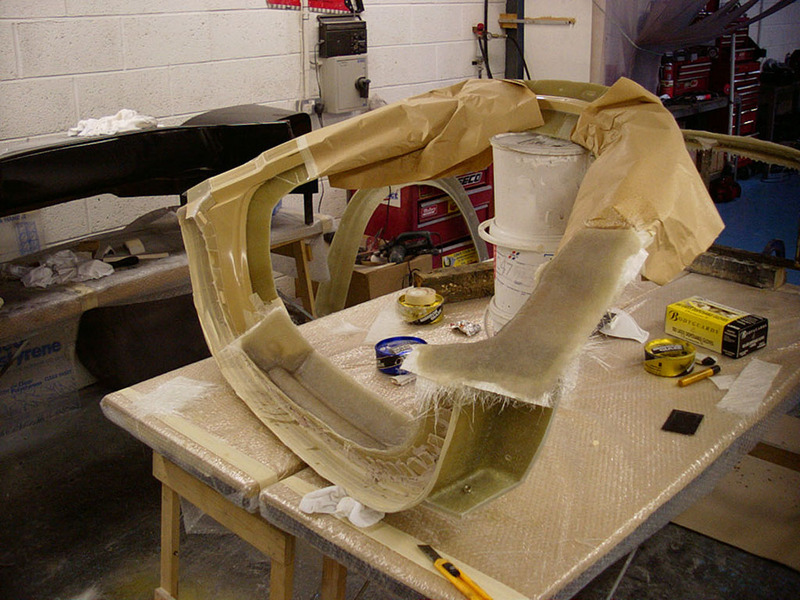 LS Engine to 997-transaxle cable bracketry. 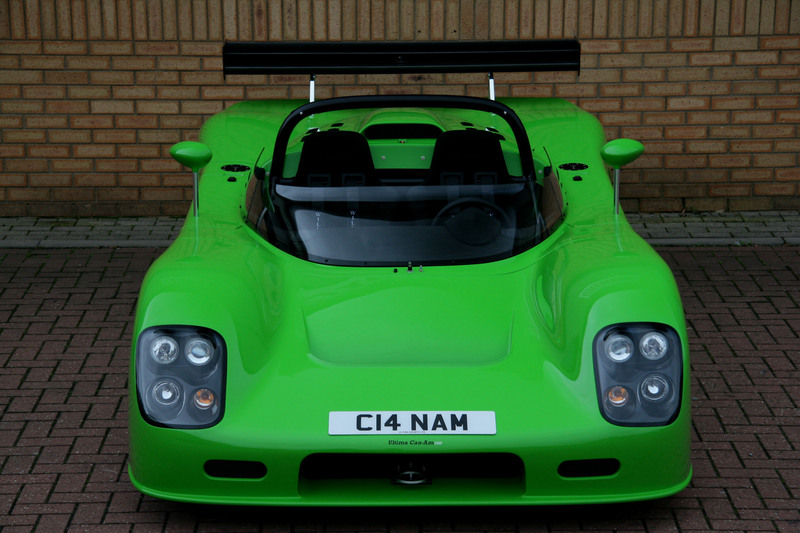 LS Engine to 996-transaxle mountings. 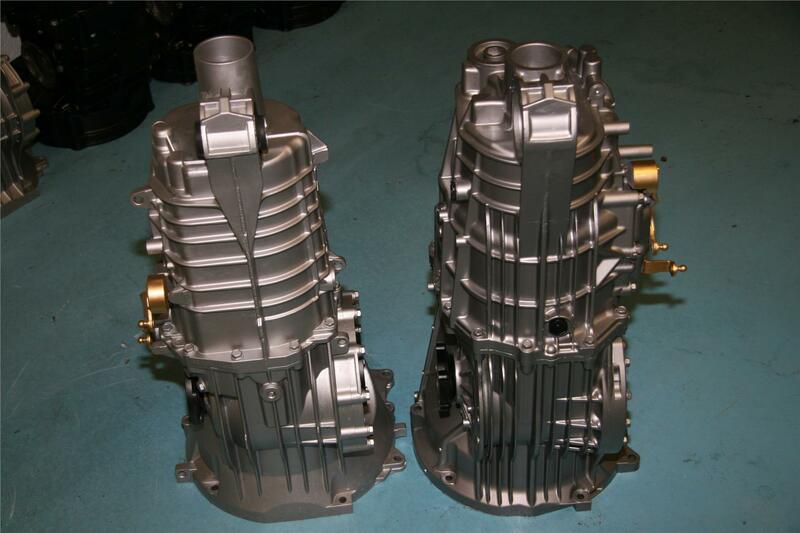 LS Engine to 997-transaxle mountings. 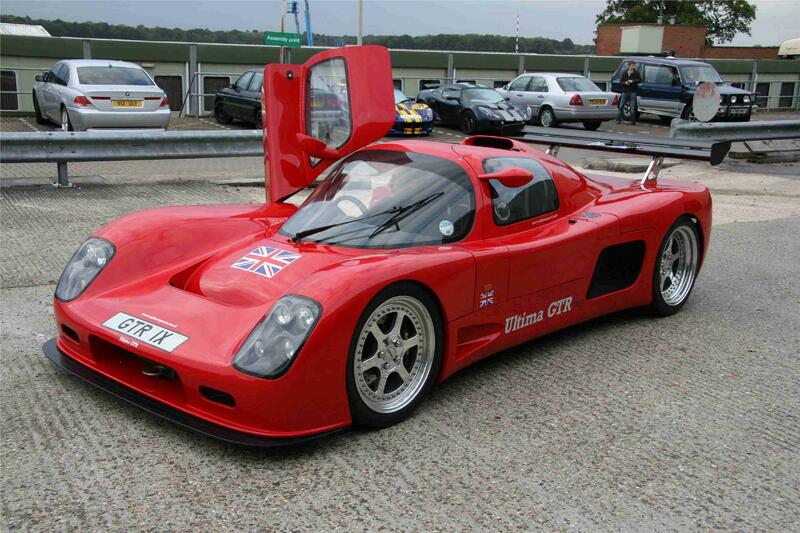 Up-rated clutch sourced and tested for 996-transaxle. 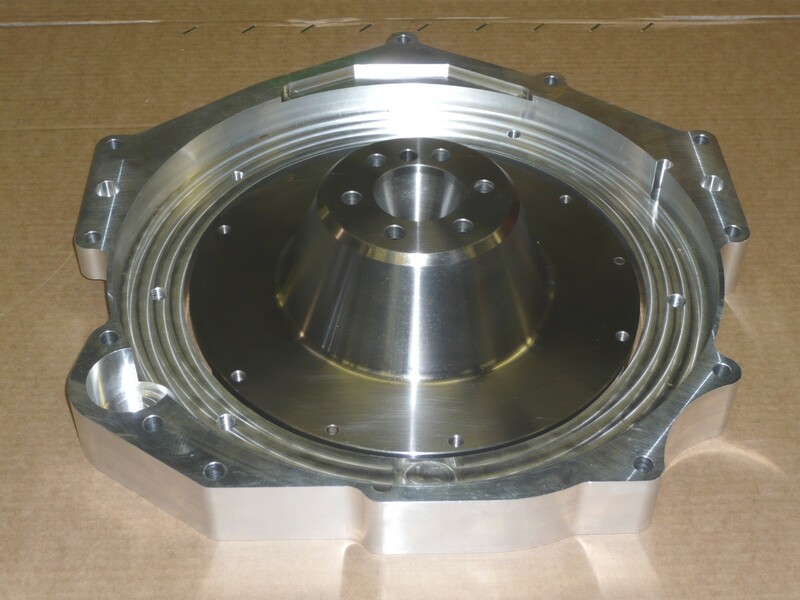 Up-rated clutch sourced and tested for 997-transaxle. 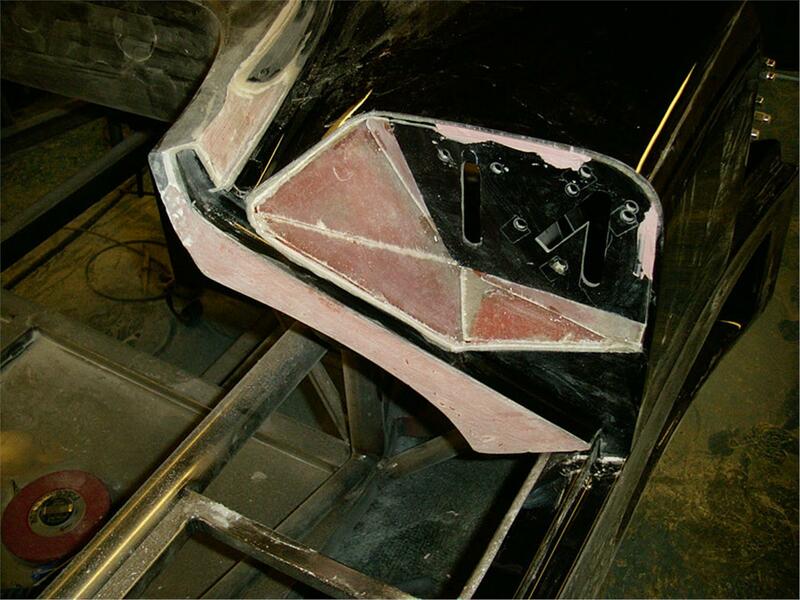 Side screen conformity marking introduced. 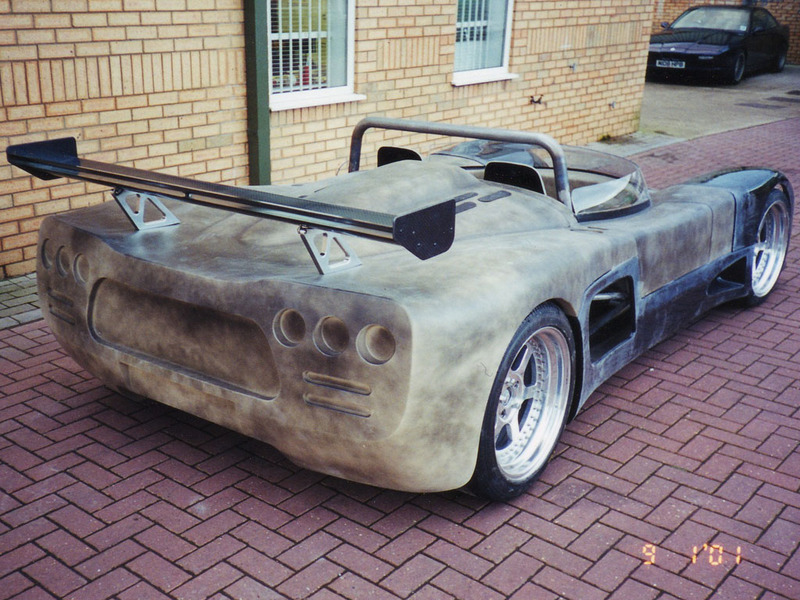 Tether system designed for fuel caps. 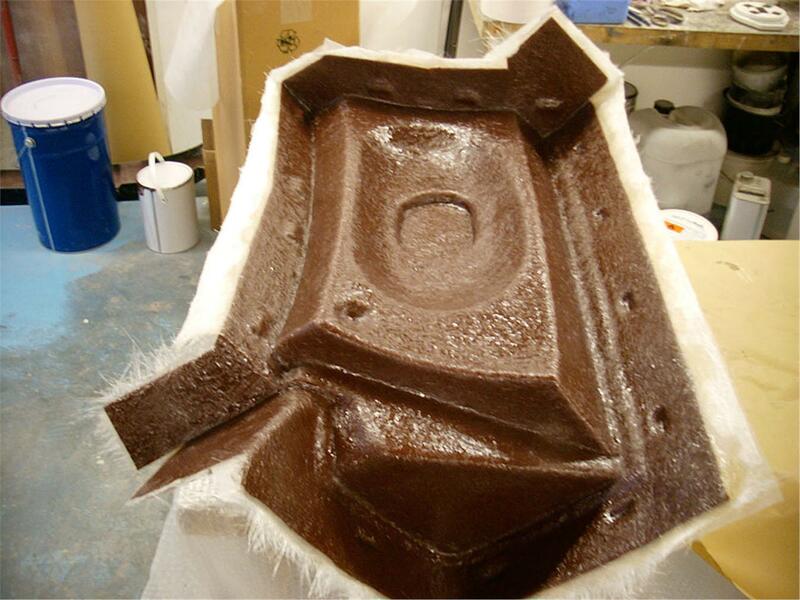 6 off new rear light mounting moulds designed and manufactured to accept the LED style rear lights. 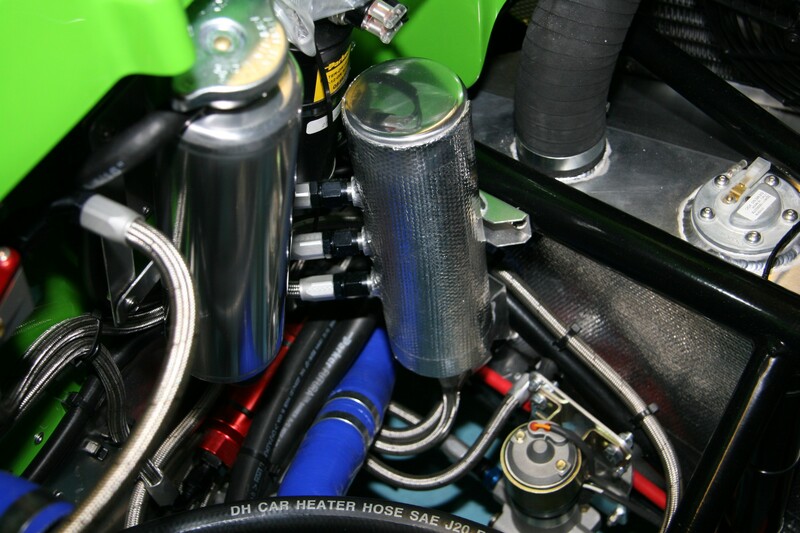 Redesign LS Engine Exhaust system to accept bolt in cats with flanges rather than weld in versions. 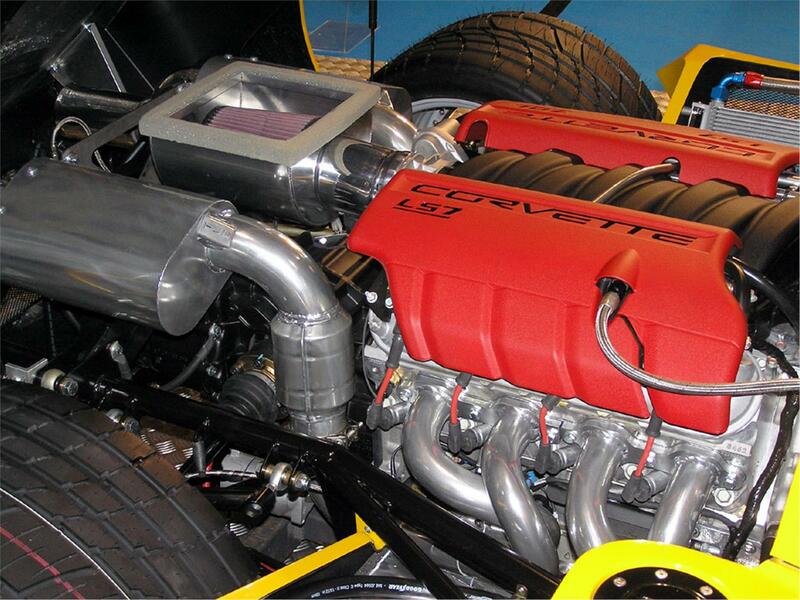 Redesign LS Engine exhaust system to fit the LS3 heads that are marginally different in angle to LS7 heads. New Pirelli tyres sourced and tested. 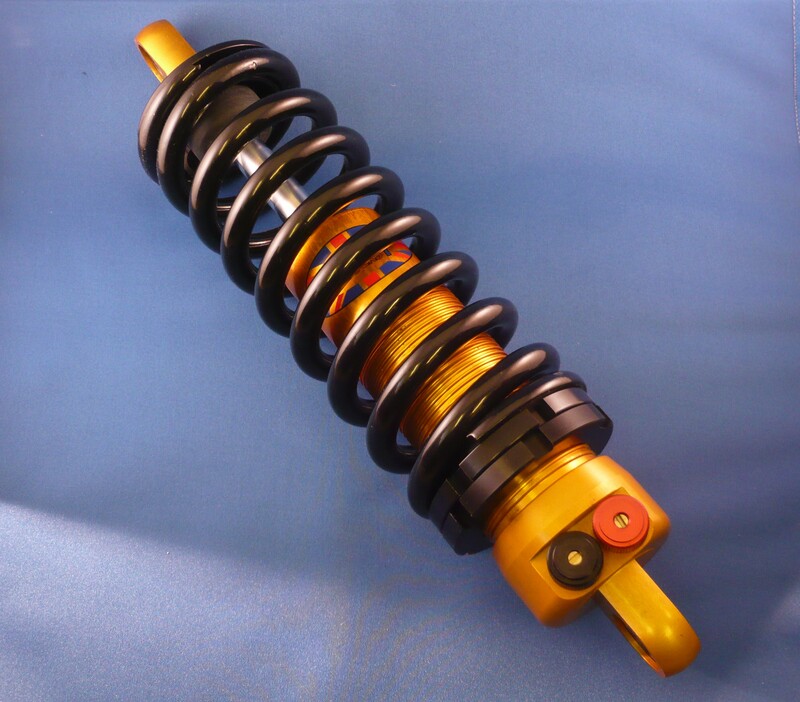 New up-rated dampers designed, sourced and tested. New chassis VIN plate designed. Brake lines redesigned in poly-coated stainless steel. 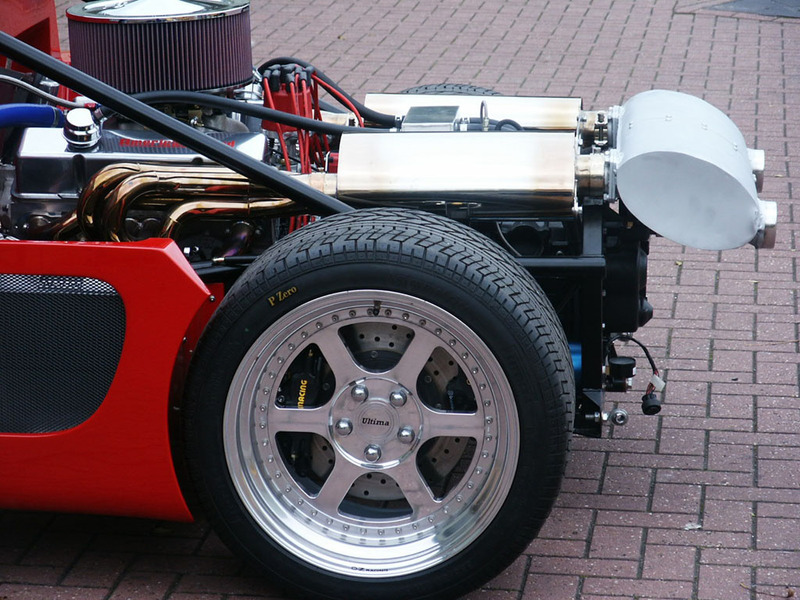 Design and test LS Engine fuel surge tank system. 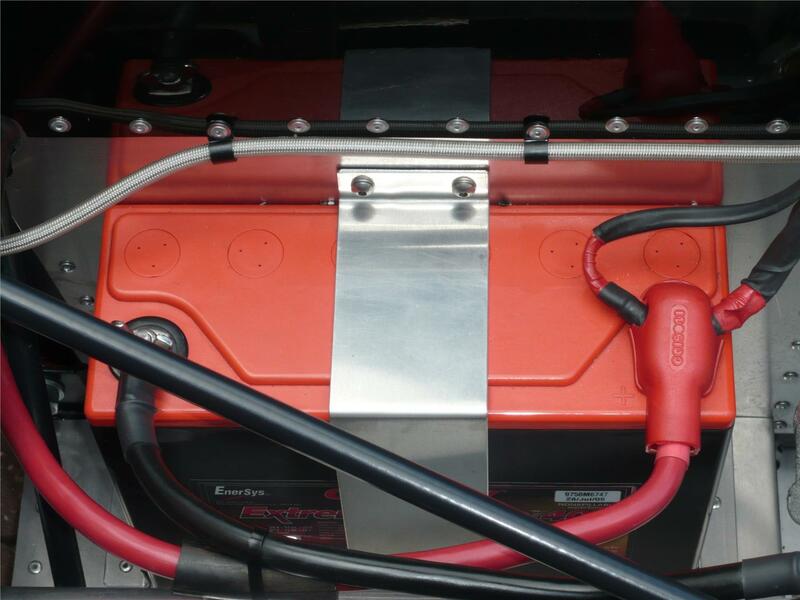 Larger capacity battery option introduced for LS Engines. New bracket designed for large battery. 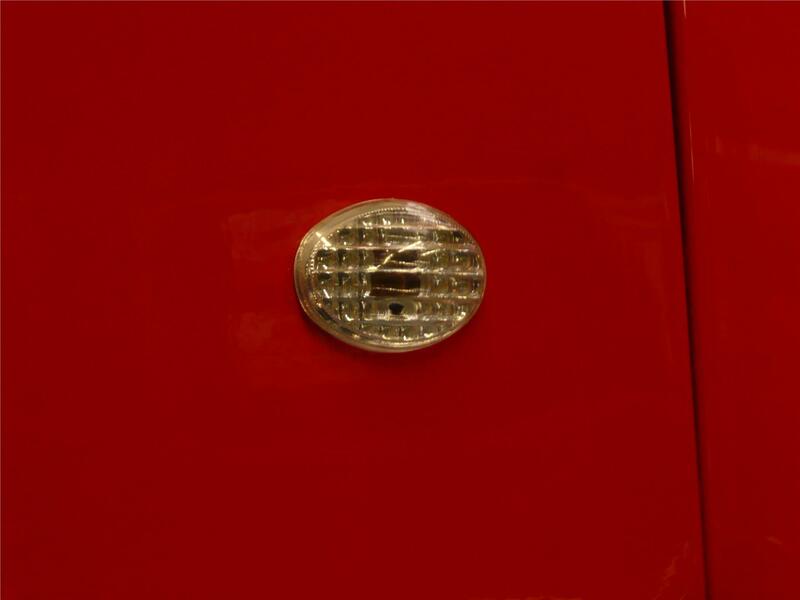 New clear indicator side repeaters sourced and tested. 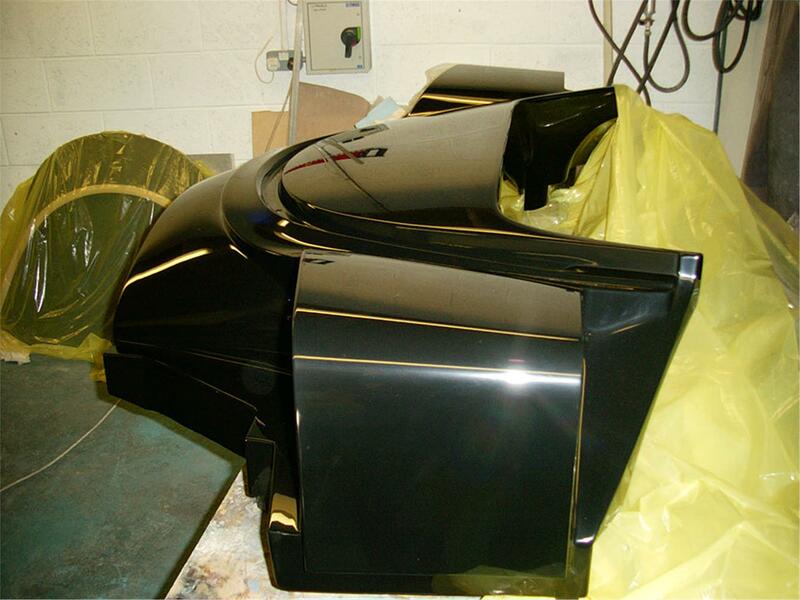 New gel coat colour option in Kawasaki Green introduced after weather testing. 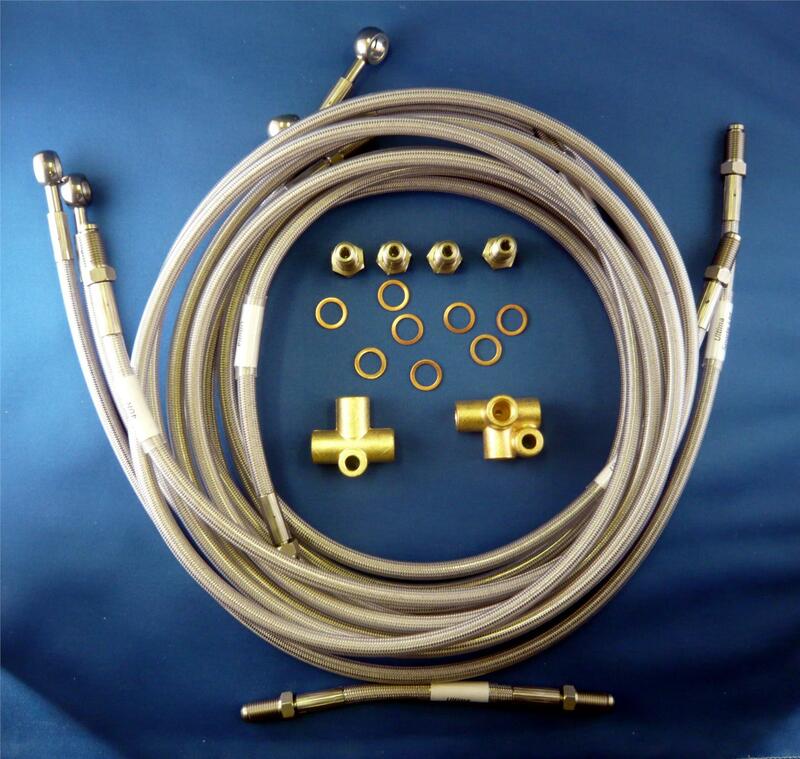 New drawings introduced for LS engines fitment. 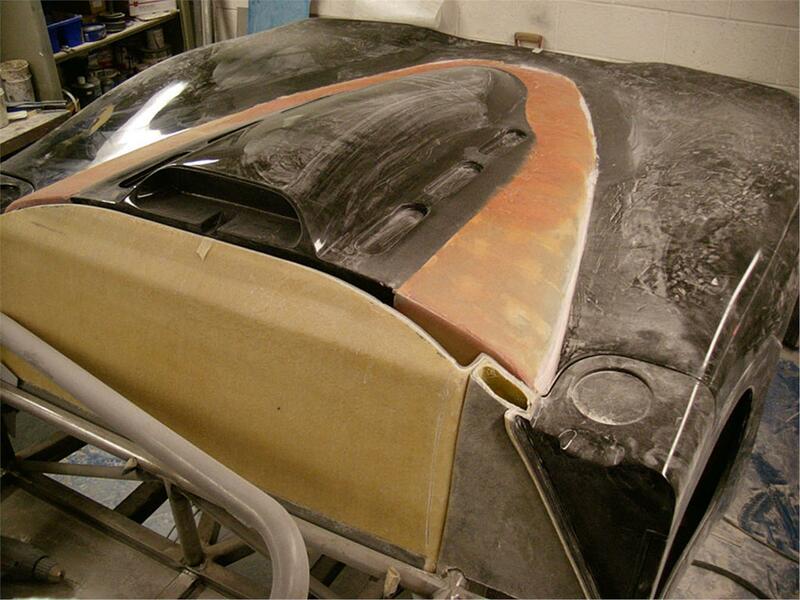 Further development to the LS Engine wiring loom in conjunction with American Speed. 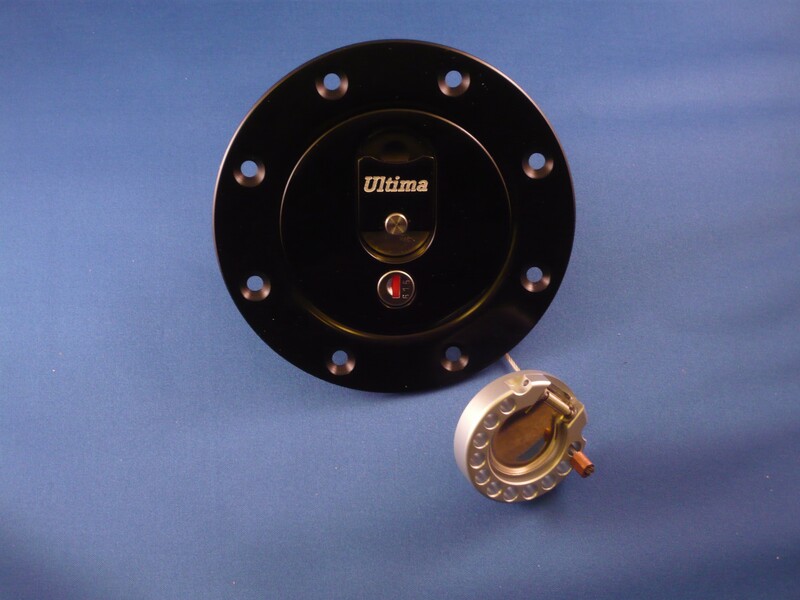 Quieter LS engine fuel pump sourced and tested. 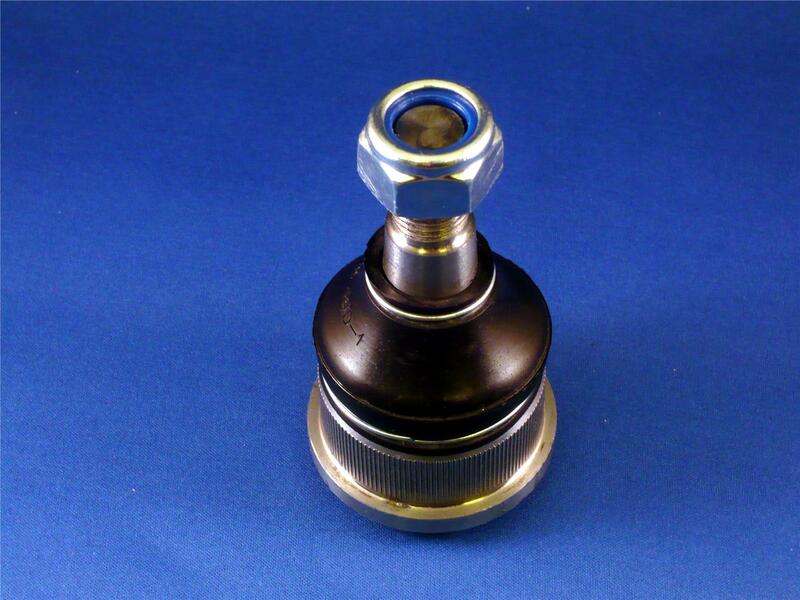 Lower friction custom made front bottom ball joints sourced.